Antea and Filipa are two humble little old ladies who share everything, although their everything is almost nothing: water soup from Monday to Saturday and a noodle on Sundays. But they are happy being able to count on their greatest wealth: the affection they feel towards each other. This story shows we are able to do things that seem impossible for the people we love and those that deserve to get to old age, but very old age, to enjoy the great pleasures in life together – a great banquet -or the small things- a tiny bean -. Charo Pita reminds us that age is a gift: it is full of life and mysteries. A face sculptured by wrinkles is like a thousand-year-old tree. Its thick trunk flowering every spring the same as an old person with every sunrise. That is Antea and Filipa, day to day adventurers, carpe diem. 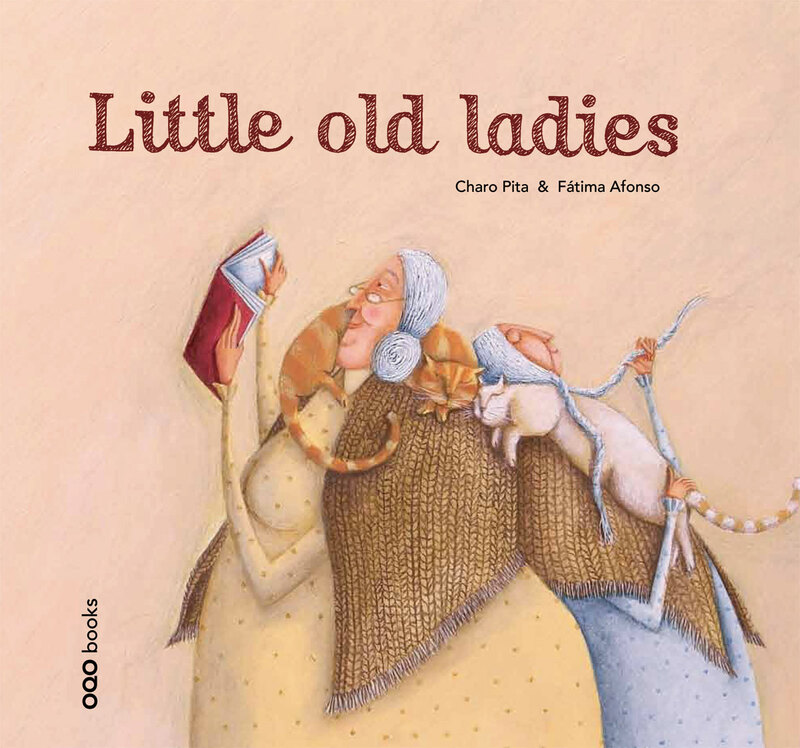 Little old ladies is a story about rebirth in old age, with its own magical elements of the traditional tales, where the city, the patience, the imagination and the bravery transform two old women’s routine who love each other with happiness and the strength able enough to defeat any setback. Fátima Afonso gives us in this album a sample, contained but effective, of her demonstrated capacity to generate images of a marked narrative character, with isolated contrasts of text-image obliging the reader to resolve minimum problems of distance that respect at all times the narrative function that frames and dominates the plastic discourse. he Portuguese illustrator proposes a generous series of mid planes to unfold a discourse dominated over all by acrylics, with images full of narrative details, which allow us to enjoy a deep and slow reading.